APS Pond Logs® can be used to remove turbidity and inanimate nutrients from the water to clean dirty water and reduce aquatic life toxicity. Dirty water decreases the amount of oxygen in the water causing stress to fish and other aquatic life. 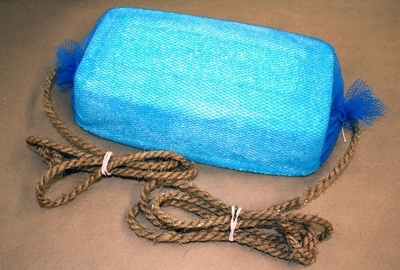 Pond Logs, Mini Pond Logs, and Pond Zingers are designed to work in flowing conditions. 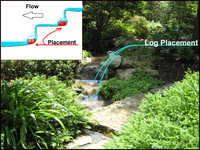 As water moves over and around the log, it slowly dissolves, releasing its components into the water column causing excess inanimate nutrients, such as phosphorous, to bind together. 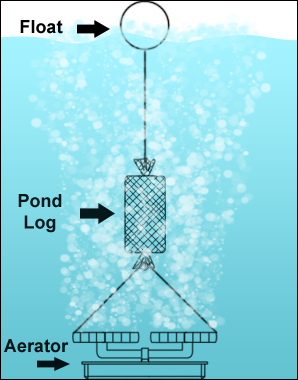 As they bind together, the particulate gets heavier and heavier and then settles to the bottom of the pond or is filtered out. It is important to note that Pond Logs do not remove all the inanimate nutrients, just enough to create a healthy ecosystem. 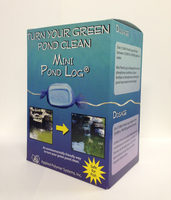 Our pond products typically see a 75-90% reduction of phosphorus. 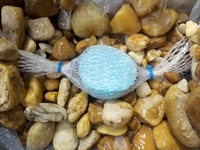 All APS products are safe for fish; no need to monitor pH. Pond Zinger treats 500-12,000 gallons of water. 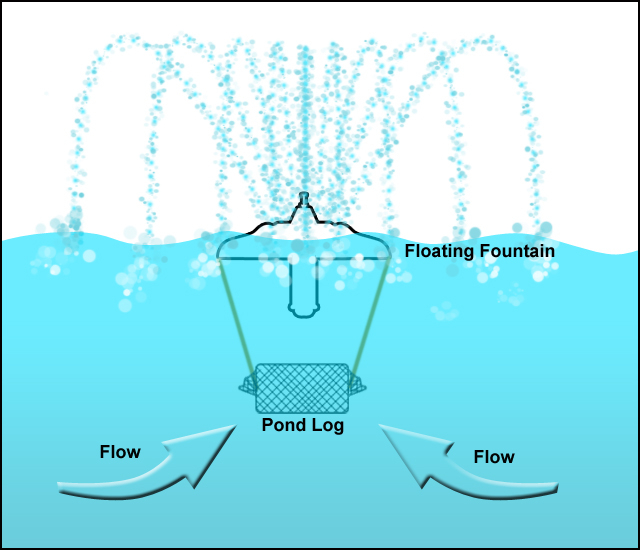 APS Pond products can be installed above an aerator, under a floating fountain, on the steps of a waterfall or with any circulation mechanism.